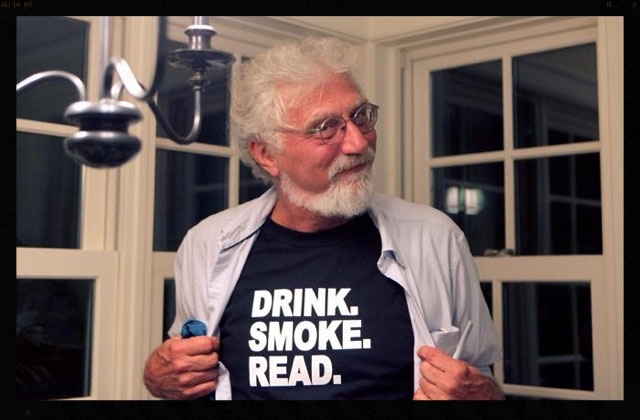 Bob Shacochis is a novelist, essayist, journalist and educator. His work has received a National Book Award for First Fiction, the Rome Prize in Literature from the American Academy of Arts and Letters, and a National Endowment for the Arts Fellowship. He graduated from the University of Missouri Journalism School in 1973, and earned a Master of Fine Arts degree from the Iowa Writers Workshop in 1982. A former Peace Corps volunteer in the Eastern Caribbean, Mr. Shacochis currently teaches in the graduate writing programs at Bennington College and Florida State. The author of two short story collections (Easy In The Islands, The Next New World), a novel (Swimming in the Volcano, a finalist for the National Book Award), and a collection of essays about food and love (Domesticity), his book, The Immaculate Invasion, about the 1994 military intervention in Haiti, was a finalist for the New Yorker Magazine Literary Awards for best non-fiction book of the year, and named a Notable Book of 1999 by the New York Times. A former contributing editor for Harper’s Magazine and Outside Magazine, Mr. Shacochis’s op-ed commentaries on the US military, Haiti, and Florida politics have appeared in the New York Times, The Washington Post, and the Wall Street Journal. His travel memoir of his journeys in the Himalaya, Between Heaven and Hell, was published by Byliner in 2012. His most recent work, the novel, The Woman Who Lost Her Soul, was published by The Atlantic Monthly Press in September, 2013. He lives in Florida and New Mexico.